The Baby Trend Flex-Loc and the Chicco Keyfit are both infant car seats that are designed to keep your child under 30 lbs safe when traveling in a vehicle. They are both rear facing car seats with similar features, so how do you know which one will be right for you? We have looked at the details of both the Baby Trend Flex-Loc and the Chicco Keyfit to see which one we think is the better car seat. Both the Baby Trend Flex-Loc and the Chicco Keyfit are designed to be used in a rear facing position in your car, giving your baby extra protection during travel. 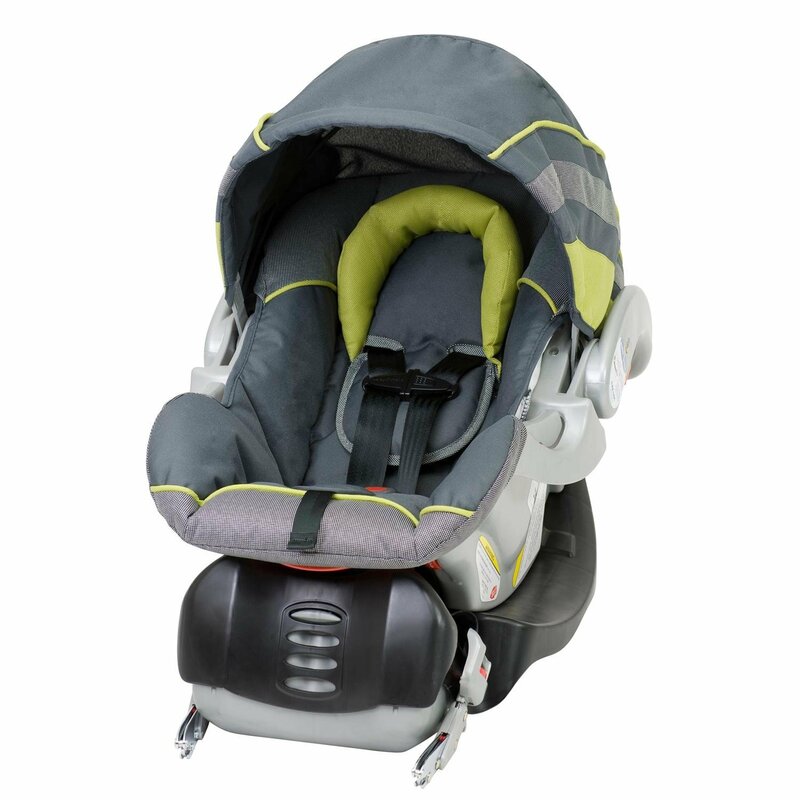 The Chicco Keyfit has a steel reinforced frame, energy absorbing foam and has been side impact tested. The Baby Trend Flex-Loc comes lined with energy absorbing foam that gives added side impact protection at the head. 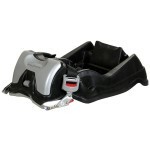 Both the models feature secure 5 point harnesses and meet the Federal Safety Standards. The Baby Trend Flex-Loc and the Chicco Keyfit are both lightweight car seats that come with a separate base for use in your car. 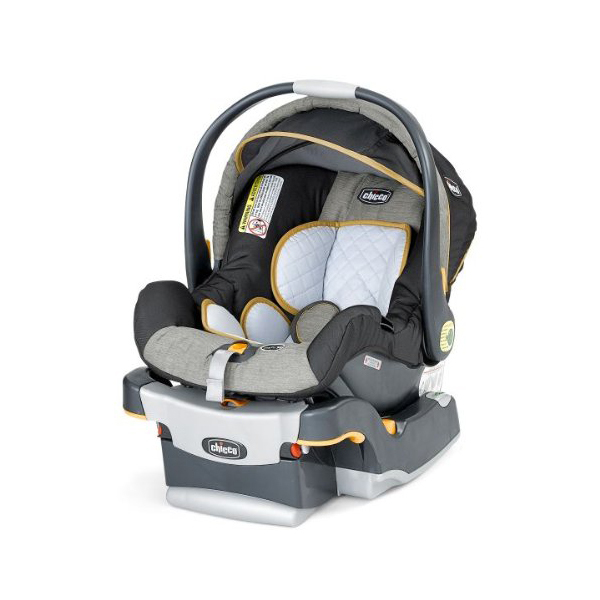 The weight of the Baby Trend Flex-Loc is 7.7 lbs and 13.7 lbs combined with the base. The Chicco Keyfit weighs 9.6 lbs and 17.2 lbs with the base attached. The Chicco Keyfit is slightly larger, measuring 27.5 by 24 by 17 inches compared to the Baby Trend Flex-Loc which measures 26 by 25 by 16.5 inches. 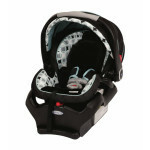 The Baby Trend Flex-Loc features a soft head support so your baby can rest comfortably during their car journeys. The Chicco Keyfit benefits from having a removable insert designed to give added comfort for smaller babies from 4 lbs. Both the models feature adjustable canopies so your baby can be shielded from sunlight or protected from the rain between vehicles. Both the Baby Trend Flex-Loc and the Chicco Keyfit are designed to be easy to install in your car and come with leveling features to ensure you have it installed correctly. Both car seats can still be used in your car without the base installed. Both car seats come with handles to let you get your baby from place to place without removing them from the seat and the Baby Trend Flex-Loc has a specially designed handle for easier carrying. The Chicco Keyfit has the added benefit of being FAA approved for use during air travel so you can easily take it with you on trips. Considering all the features of both the Baby Trend Flex-Loc and the Chicco Keyfit we think the better car seat is the Chicco Keyfit. It has more features that are designed to make it more secure in your car and is generally a more stylish looking car seat. The Chicco Keyfit has extra padding that will keep smaller babies snug in the seat but the Baby Trend Flex-Loc is still a good choice if you’re not looking to spend the extra $80.